RapidKL Bus U43 services between Putrajaya Sentral and One Utama. hi i'd like to go cyberjaya hsbc from puchong...is that ok that i take the rapid u43 from ioi tesco to putrajaya sentral then change rapid u429 to cyberjaya? You are all correct. Just note that you maybe need to wait for a long time for U43. thx...btw how long do i need to estimate the time...bcos i have an appointment at 1030am. if i reach ioi tesco at 8am...can i arrive on the time? 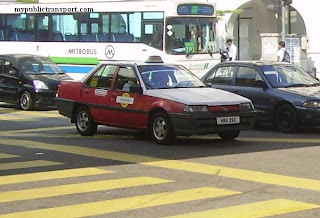 If U43 did not come after 9.00am, you need to use taxi then. Hope RapidKL can improve U43. what time is the U43 to puchong? I need to be at ioi mall at 12.00? U43 travel every 90-120 minutes. You need to prepare some time for it. i want to ask U43 frequents from Kelana Jaya station bus. and do u know the timing for U43? U43 only comes every 90-120 minutes. Be ready to wait for very long time. Normally what is the actual time of arrival for the first U43 bus to arrive in Kelana Jaya and then travel to putrajaya. It stated that the first bus is at 6am. Sorry we not very sure the arrival time at Kelana Jaya station, maybe you can check with RapidKL. Hi. Could you please tell me the estimated timings of U43 to Kelana Jaya LRT? It is hard to estimate time of U43 because of massive jam. 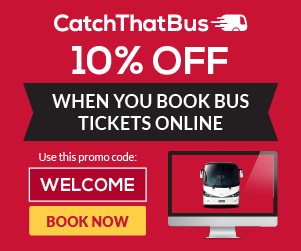 We can only tell you it departs every 90 minutes. Maybe you can use the timing LED at bus stop for guideline. hi, what time is the last u43 bus from 1utama mall during weekdays? It should be 8.30pm normally. Hi, I will arrive in KLIA at 5 pm. I think i will take KLIA Express train. My last destination is bus stop IOI Mall. 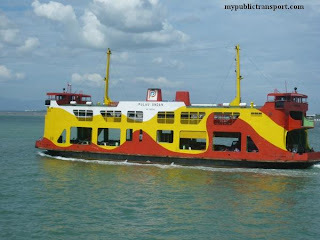 Which one is better, stop in Putrajaya and take U43 ? Or stop in KL Sentral and take U60 / U69 / U 70 ? Can u give me suggestion the best way and save time ? If you prefer not to wait, I suggest you to go to KL Sentral and use U60/U69/U70. U43 have been very hard to get and they still need to travel very far from Putrajaya Sentral to Puchong IOI. Sorry we not sure about this because it is depends on the traffic condition. I want to go to 1Utama from Putrajaya. Which LRT should I take? what time the latest LRT from 1Utama? 1. Take U43 from Putrajaya directly to 1Utama. 2. Take KLIA Transit to KL Central, then take RapidkL U82 to 1Utama. Hello i need to go to hsbc cyberjaya for interview.. Im from putra perdana should take u69 to puchong tesco... Is it the bus stop for me to take u43 is infront tesco or opposite the road??? N how about the frequent u43 come at tesco? Hi, you can take U43 opposite to Tesco. It comes every 2 hours. 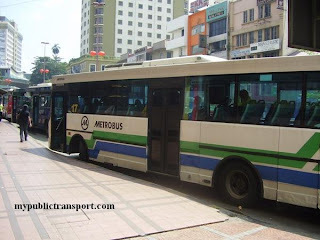 Hi for U43, does the bus stops at the bus stops to pick up and drop off along the route after tesco towards putrajaya? 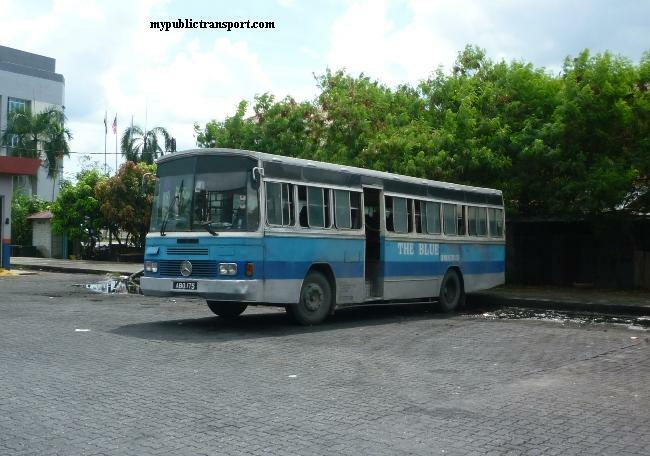 Hi, no more because this route is long and does not stop at many bus stops. How do i go tesco kajang from putrajaya center? 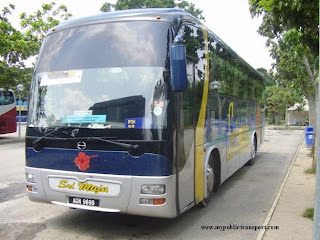 Hi, there is Sri INdah bus sometimes from Putrajaya to Kajang town (we not very sure about the schedule). 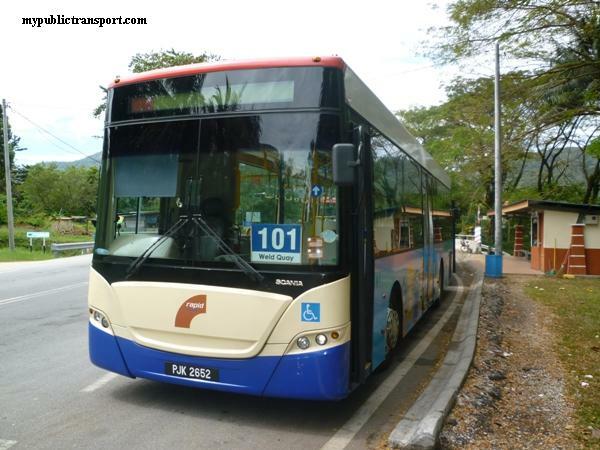 Once you reach Kajang town , you can take RapidKL U40 and stop near Tesco Kajang. what time do u43 buses starts from Putrajaya to Kelana Jaya? And what time is the last bus from Kelana Jaya to Putrajaya? Also, can i ask for best options to go to one soho (subang jaya ss19) from Tesco Puchong? Hi, it starts from 6am to 10.30pm. However the frequency is like every 2 hours. 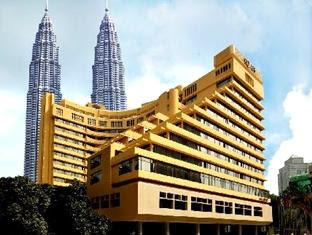 You can take Minibus 68 or 88 from Puchong Tesco to Subang Parade, then walk or take RapidKL U62 to One Soho. hi,may I knw from ioi mall to 1 utama need using how many time? Hi, it depends, waiting time about 90 minutes, journey about 1 hour. Hi, you need to take RapidKL U69 to Tesco Puchong, then go opposite and take U43 to Putrajaya Central. From Putrajaya sentral, please take Nadi J02 or RapidKL U429 to Cyberjaya. Hi, if you are from Kelana Jaya LRT, you can take U43, U89 or 1Utama Free Shuttle if you have 1Xpress Card. You can be at the LRT station at 8.45am and I think it is sufficient for you to reach before 9.30am. Hi, can i know how should i go from puchong to kelana jaya? Hi, you can take Metrobus 506. There is no schedule for Metrobus route. It should be every 1-2 hours for 506. Hi, you can take RapidKL 506. Hi. i would like to know. 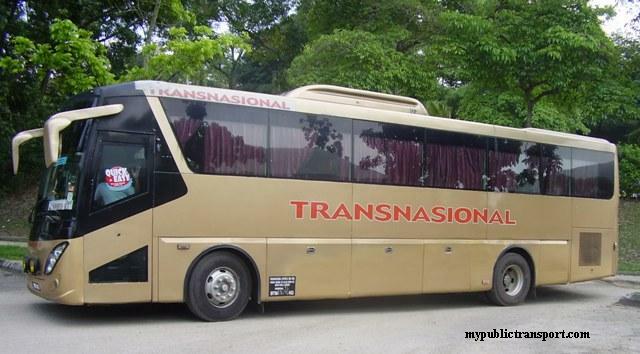 is there still bus from puchong to go to putrajaya ? i check the google maps. but there is no route showing any bus from puchong to putrajaya. Where can I take the bus? At the opposite of tesco and in front of setia walk? Didn't know rapid ko still operate there..
Hi, it is now RapidKL 506 and where you can take the bus is depending on which direction you want to go. Yes, you can just wait outside of Setia Walk. hi. I heard theres no u43 from bandar utama to putrajaya sentral anymore. Do you have other suggestion if I want to go to putrajaya sentral from one utama ? Hi, the service number is changed from U43 to 506. It is operating by RapidKL now. Hi is the rapidkl 506 stops at kelana jaya lrt? I want to take it to setia walk. And may I know which bus I can take to go from setia walk to sunway pyramid? Thanks! Hi, yes you can take 506. 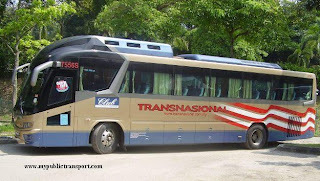 Hi, on average how many minutes does it take for the journey from putrajaya to bandar utama with bus 506? Hi, it is about 60 minutes. hi, what time does 506 depart from 1 utama to kelana jaya during morning on weekdays and weekend? Hi, it is suppose to be from 6.00am and RapidkL promise every 20 minutes. However in real situation it is about every one hour. Hi i need to go to 1 utama before 7.45am from ioi bus station. Can i take bus 506? What do you suggest i do? Hi yes you can take 506. You can wait at about 6.30 so that you can reach before 7.45. Hi! 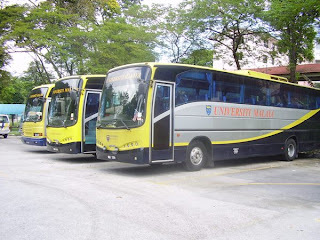 What bus do i need to take from Neo Damansara jalan pju 8/1 to Segi University kota damansara? Hoping for your reply. Thank u so much! Hi, you can take RapidKL 801 to Persiaran Surian, then take 780 to Segi Kota Damansara. However, 801 only comes every 45-60 minutes, you can choose to walk to Persiaran Surian and take 780.
hi , i want to ask if we want to go to ioi mall puchong from putrajaya central , is it we can take u43 from putrajaya and it will pass few stations and directly reach ioi mall puchong ? Hi, U43 is now 506. There is not much stops along LDP for 506 to stop, so it reach IOI Mall with less stop, but 506 only comes every 45-60 minutes. 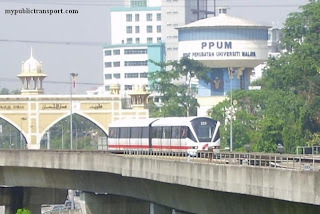 Hi, I would like to ask 506 would stop at Kelana Jaya LRT station from IOI Puchong? I need to reach Kelana Jaya LRT station about 7.30am. What time should I waiting at IOI Puchong and what is the estimate time that reaching Kelana Jaya LRT station? Hi, yes you can take 506. To reach before 7.30, you need to wait for the bus at 6.00am, the waiting time is like 15-45 min and the journey is about 30 min. hi i gt job at cyberjaya aia, since i am from kl, i would like to travel from home, i have find routes from kl to ioi mall, can pls guide me to go cyber aia from ioi lrt station, which bus i have to take? Hi, since you are working there, you can take Cyberjaya DTS from your home to Cyberjaya. You can choose Route 7 which is picking up from Puchong. I need to go an interview at TV3 Prime Work studio near 1utama. Can I travel from Puchong to there by taking 506? Which bus stop should I wait? Hi, yes you can take 506, you can stop at 1Utama bus terminal and walk to TV3. if going back to puchong from the 1 utama bus terminal which bus number should I take? You can go back to same place and take 506. I want to use which bus from jabatan taman puchong utama 9 (opposite tesco extra bukit puchong) to McDonald mccafe puchong gateway (Jalan suria puchong) ? 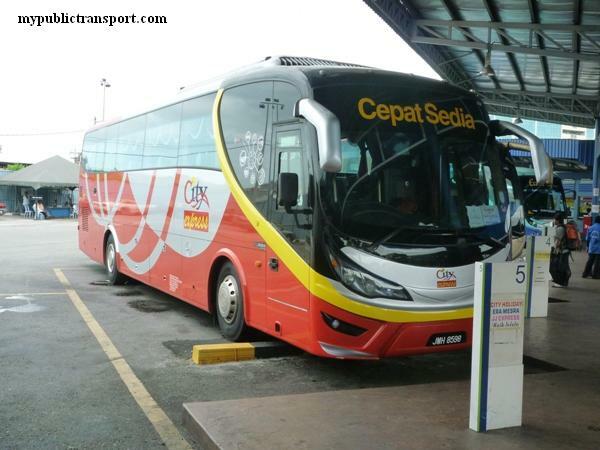 Hi, you need to take Causeway Link 601 to Setia Walk, then take 506 to Puchong Gateway. Note that there is no bus stop near there so you may need to ask the driver to stop. Hi, you can take RapidKL 506, it takes about 30 min for the journey, but the bus is only available every 45-60 minutes. 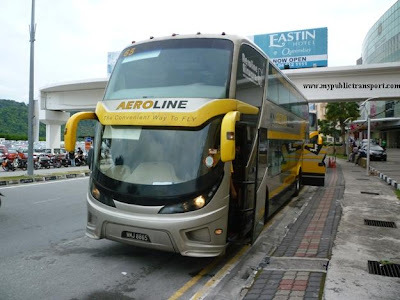 Hi morning, may i know bus U43 is still available from terminal One Utama to Tesco Puchong? Hi, yes, U43 is now call 506. Hi if i need to take the 506 to Putrajaya Sentral from Kelana Jaya LRT, which side of the highway should I wait? 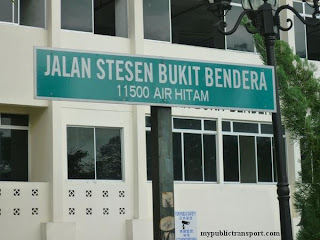 also, if i need to go to PJH building, which bus do you advise i take from Ptj Sentral? thank you! Hi, from Kelana Jaya LRT, you need to be at the same side of the LRT to take 506 to Putrajaya Sentral. You can take L01/L02 from Putrajaya Sentral to Menara PJH. Hi, how can I go to centrepoint from 1 utama? Hi, you can take T811 from 1PowerCenter. Hi. How can I go to Putrajaya Sentral from Tesco Puchong? How long will it take to reach there? Because I need to reach Klia2 about 12pm. What time should I waiting at Tesco Puchong? Thank you. Hi, you can take RapidKL 506. It takes about 45-60 minutes to wait for the bus, the journey should be about 30 minutes. 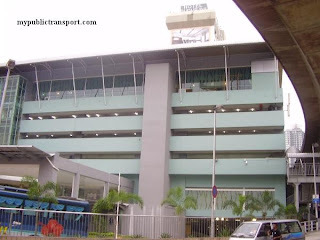 Hi, may I know how to go The Grand Sofo at SS6 from Sunway Pyramid by public transport? Hi, you can take RapidKL 783 directly to LDP, then cross over LDP to Grand Sofo.